One standard that must be met to hit the “best" list is the water cooler effect—the ability to get people to talk about it the next day at work (often referred to as “office gossip"). Marketers know that when colleagues group around an area to take a break, they will chatter and exchange information. Previously, bosses thought that it had a bad effect on productivity. The new thinking, according to researcher Debbie Richards, is that what is actually being transferred is tacit knowledge. Richards says that some of the knowledge exchanged are recommendations such as, don’t buy from Y because they are unreliable and they impart if something makes them feel suspicious. She says, “Tacit knowledge is not gained from reading books; it is gained via hands-on experience like riding a bike or driving a car. Studies show that we use roughly equal amounts of codified and tacit knowledge in our day-to-day activities. Tacit knowledge is what gives us a competitive edge over others. Tacit knowledge resides in individuals—and it’s sticky." That word “sticky" says it all. That particular magic must hit a universal cord. It is where viewers-slash-consumers want to discuss these factors. Newness: old news is well, old. The product or idea must be fresh material. Cleverness: the ability to evoke laughter. Shock: a value that one can compare to one’s own life; it may make people share a judgement or assessment. Catchiness: here is that “stickiness" quotient again—in advertising jargon it has often called a catchphrase—a frequently uttered slogan that becomes widely known in popular culture. Evocative: pulling vivid memories from the past. Pertinence: relevance to current life. Tugging heartstrings: The source and center of emotional life, where sincere feelings are located and where a person is most vulnerable to pain. Now that we know some of what great advertisers strive for, let’s look at some commercials that have come to be considered the best. What message has been carried on over time and been chucked into the mainstream, thus, becoming commercial pop culture? Coke: They hit the mark with “I’d like to teach the world to sing" in a 1971 groundbreaking Christmas debut. This campaign was called “Buy the world a Coke" and performed by an international multicultural ensemble and was eventually recorded by other groups—The New Seekers and The Hillside Singers—as a full-length song. It was so successful they even ran it again in the mid-70s. The commercial caused controversy with South Africa during apartheid in that the then-CEO sold off their remaining holdings in that country. One of the most famous Coca-Cola commercials in history features Mean Joe Green—Charles Edward Green, one of the greatest defensive lineman for the Pittsburgh Steelers in the National Football League (NFL) and part of the Steel Curtain defense. 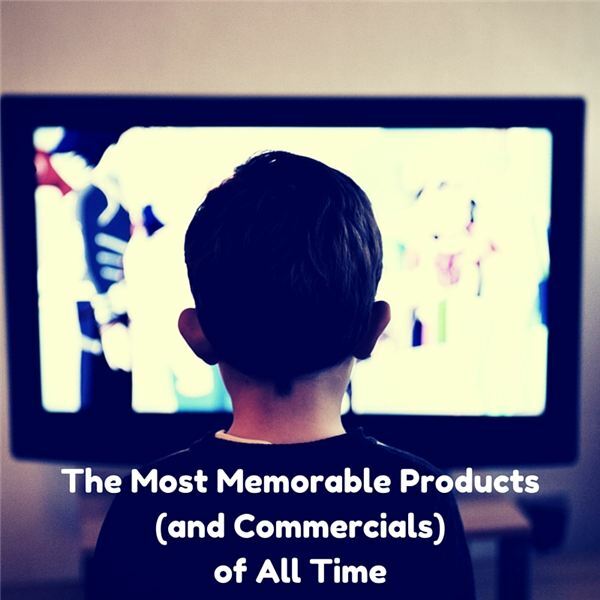 In 1979, the commercial took the words, “Hey Kid, catch," and made them meaningful and memorable. It won a Clio award—the standard of creative excellence in advertising, design and communication from the people who matter, an international panel of advertising executives. America Don’t Pollute: Chief Iron Eyes Cody and “The Crying Indian" spot. In the 1970s, a Cree-Cherokee Indian and activist starred in a “Keep America Beautiful" public service campaign commercial (a coalition of companies involved in glass, aluminum, paper, plastic, tobacco and solid-waste). At one point we see him watching a bag of garbage being thrown out of a car and landing at his feet. It is met with a tear in his eye. Created by Young & Rubicam’s Marstellar Inc. agency, this sent the message that individual consumers should take the responsibility of not polluting the landscape; (first aired on Earth Day in March 1971). It garnered two Clio Awards and was named one of the top 100 advertising campaigns of the 20th Century by Ad Age Magazine. Budweiser Clydesdales Horses Super Bowl Commercials: First aired in 2013, the Clydesdales won the hearts of football fans everywhere and resonated as good advertising throughout the genre. Seeking to hit the nail on the head again, under the “brotherhood banner" in 2014, they made good use of the friendship between a dog and a horse—Puppy Love—to hit an advertising touchdown once more. Using the iconic Budweiser Clydesdales horses over again, this latest rendition advertisement is with horses on a ranch playing football—and getting a goal over a telephone wire—it captured the sports fans’ hearts (and probably ranchers’ too). Geico Gecko: This spokes-lizard with the “unexpected" English Cockney voice (it was American Kelsey Grammer’s voice-over originally) has now become famous for Geico and appears as a mascot and a long-standing brand representative. They attribute increased business on the back of this green-scaled promo reptile to be paramount. Aflac Duck: The Aflac Duck campaign and the phrase “We’ve got you under our wing" reached name recognition by 94% of Americans in 2005. He debuted on New Year’s Day on CNN in 2000 and became an instant success. The Aflac duck is so feisty a character they have him playing golf (badly); he has become a “rock star" in Japan, and now he does magic tricks even more poorly. He has garnered Facebook fans and many parodies on YouTube. Hawaiian Punch: Using caricatures—one would expect with Hawaiian garb and employing a clever joke—“Do you want a Hawaiian Punch?" made this Hawaiian Punch commercial famous, which took things further than expected. California Raisins: A pop culture hit of the 1980s, this ad used Claymation technology to illustrate some raisins with beat and style. “I Heard It through the Grapevine" created perfect background music for carrying the commercial to stellar heights in advertising—t-shirts and coffee mugs with the logo followed and increased raisin sales 10 percent. Alka Seltzer: “I can’t believe I ate the whole thing!" This catchphrase especially caught on because of the play between the off-stage voice of the sufferer’s wife, who obviously knew the solution to her husband’s problem and his famous retort. It was an immediate hit in 1972. Wendy’s: Where’s the beef? In 1984, Wendy’s put some elderly ladies to good use as they look at a hamburger that is more bun than beef. This phrase-ology made actress Clara Peller an instant overnight success and the catchphrase was uttered across the United States for many years, often indicating lesser product or performance. Look at classic commercials as compared to your own favorites, whether that be Nike “Just do it," Little Caesar’s “pizza pizza" character or Apple’s dancers in silhouette for the iPod. What should or wouldn’t be on your “best" list? The Persuaders. Alexandria, Va.: PBS Home Video, 2005, c.2004. Originally broadcast on the television program “Frontline” in 2004. ISBN: 9780793646852. DVD.